Prepared for electronic humidifier. Sealable cable opening in rear wall. Upgrade with electronic humidification system adorini cigar heaven recommended. Adorini cigar heaven separately offered, not included. 2 silver acryl polymer based adorini deluxe humidifier with adjustable ventilation openings for an optimum regulation of the humidity level. Innovative tray design ('Airvent') to allow maximum air circulation and compatibility with new generation electronic humidifiers. 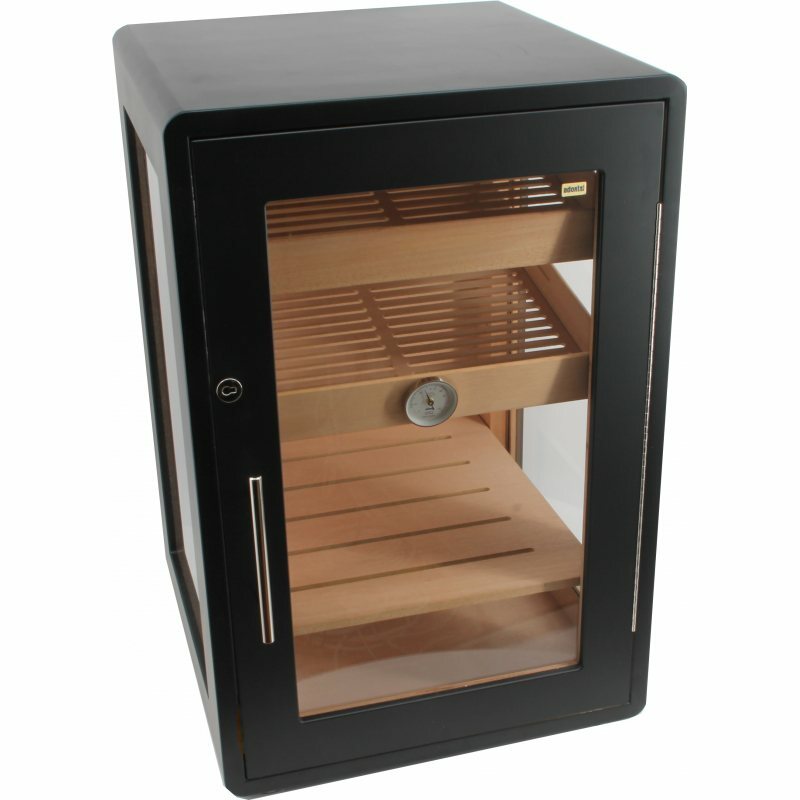 Great Humidor, spacious, well-made. 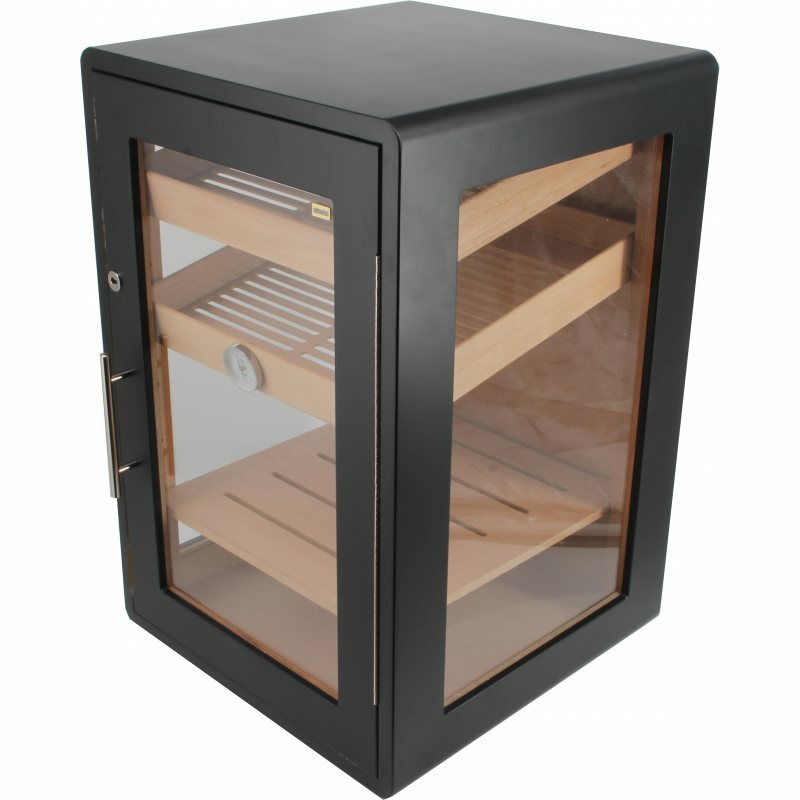 Great value for money, flawless shipping organized by the HumidorDiscount team. 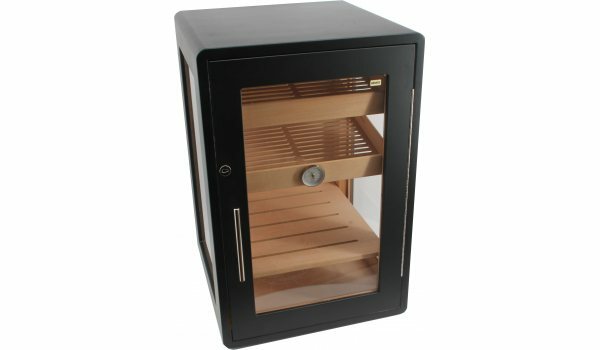 I highly recommend it if you want a humidor that can store a double digit of boxes. Lovely appearance and so far, it seems to work very well. Very nice, simple and keeps all its promises! I recommend it.